Plot: On the eve of D-Day, paratroopers drop behind enemy lines to carry out a crucial mission for the invasion. As they approach their target, they soon begin to realize there's more going on in the Nazi-occupied village than a simple military operation. Starring: Jovan Adepo, Wyatt Russell, Mathilde Ollivier. 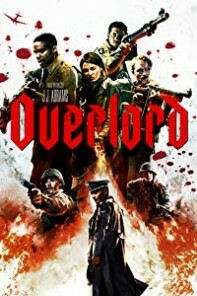 distributed by Paramount «Overlord» in the US movie theaters released on November 9, 2018 and has grossed over $24 million worldwide; dvd and blu-ray release date was set for February 19, 2019. Rent from Netflix and Redbox from February 19, 2019. «Overlord» in the UK released in movie theaters on November 7, 2018. The movie released on dvd and blu-ray on March 11, 2019.